The London Environment Strategy’s newest initiative is the first stricter emission regulation of its kind. New tough restrictions on drivers in central London meant to curb high pollution levels could serve as a model for Los Angeles, which suffers similar negative health and environmental effects related to vehicle emissions. 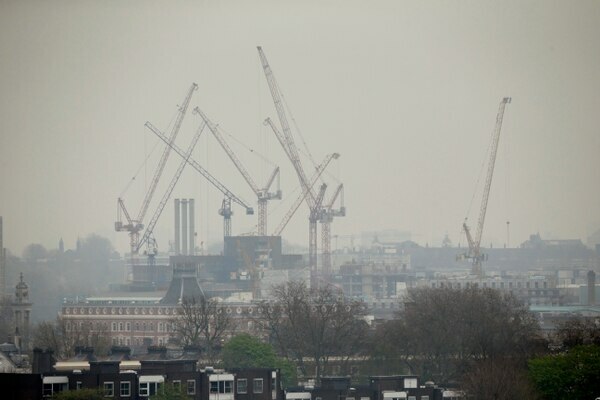 The Mayor of London has identified poor air quality as a policy priority and established a multi-step plan to combat the declining conditions called the London Environment Strategy (LES), which works to transform policy into action. One of the main initiatives is introducing the world's first Ultra Low Emission Zone in central London to combat emissions from land transport, the biggest source of emissions creating adverse health effects. A 2018 USC study showed differing levels of air pollution across Los Angeles. Chinatown was found to be suffering from the unhealthiest air. The policy change in London could serve as a model for Los Angeles, specifically focussing on one area to improve air quality. Gabriel Kahn, a professor of professional practice at USC, is the editor of Crosstown, a website that provides coverage on crime, traffic and air pollution in Los Angeles. He expressed his support for a similar model of London's congestion pricing in Los Angeles. "What we're trying to do is put a price on something that currently isn't tangible — pollution," Kahn said. "I am all in favor because it will change consumer behavior." Starting April 8, vehicles in the designated area, including motorcycles, cars and trucks, will have to meet tighter exhaust emission standards. The restrictions, called the Euro standard, are various levels of emissions controls that set limits for polluting nitrogen oxides and particulate matter from engines. According to the integrated transport authority, Transport For London, the drivers will face a daily charge from £12.50 to £100.00 — around $16 to $130 — if they fail to meet the new requirements which is intended to encourage greater use of public transport and efficient vehicle usage. 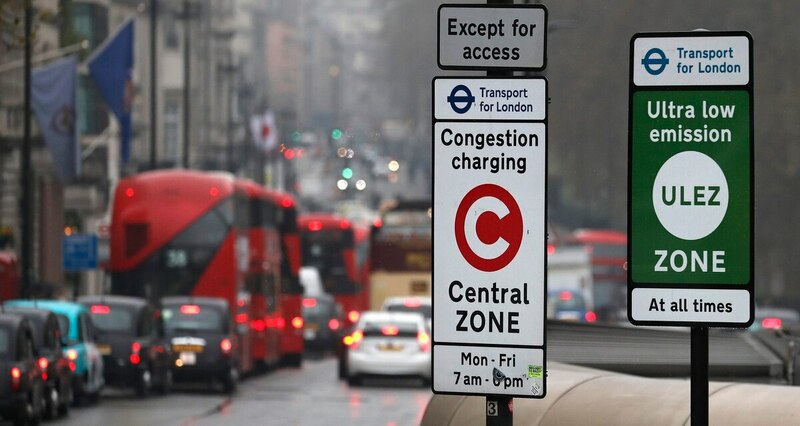 According to Transport for London, Cars will be monitored based on the model established by the current congestion charge zone in London, which has existed for 15 years. There are currently 1,000 cameras in place which may be used for the new initiative. The Ultra Low Emission Zone, however, will be 18 times bigger. In London, as well as other major cities around the world, air pollution is becoming a concerning health hazard. Some areas within these cities are facing the brunt of the adverse impacts stemming from the environmental conditions. In particular, the socioeconomic status (SES) of individuals has been found to correlate with the air pollution they are exposed to. "Lower SES individuals and communities are exposed to higher concentrations of criteria air pollutants," said Anjum Hajat, an expert on the relationship between socioeconomic disparities and the air pollution exposure of those populations. In his global review of these relating statistics, Hajat found that studies from Ghana, New Zealand and parts of Asia showed a harmful correlation between socioeconomic status and air pollution. One possible factor of the disparities in pollution exposure in Hong Kong, China, is the limited access to housing provided by the real estate market. While Hong Kong's government provides public housing to a portion of the lower SES families, the majority opt to find their houses through the private housing market, which is typically pursued by higher income families. The significant costs of private homes in less polluted areas prevent access for lower SES families, forcing them to live in more hazardous areas. According to Hajat, among those living in private housing, the lower SES population had a significantly higher exposure to an air pollutant called PM10 as compared to the high SES population. The global review published by Hajat had found similar patterns in cities around the world, and specifically named Sweden and the United Kingdom as cities who are attempting to combat these disparities through research and policy changes. With the increase of global warming and changes in the environment, governments are adapting their focuses to include environmental matters as issues at the forefront of their efforts. Ryan Sturges, a junior studying abroad this semester, has noticed the significant quantity of vehicles throughout the city, which have contributed to the concerning level of air pollution. "The area I directly live in is not very affluent and is a lot of apartment buildings," said Sturges. "There are a lot of cars and buses in the city, so I wouldn't be shocked to hear about high environmental pollution."